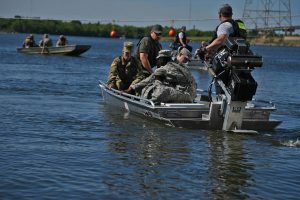 NEW ORLEANS – Soldiers and Airmen with the Louisiana National Guard and nearly 200 civilian partners participated in an annual statewide disaster response exercise (DRX) designed to test and reinforce the capabilities and cohesive action between various local, state, federal and non-governmental agencies, April 1, 2017. 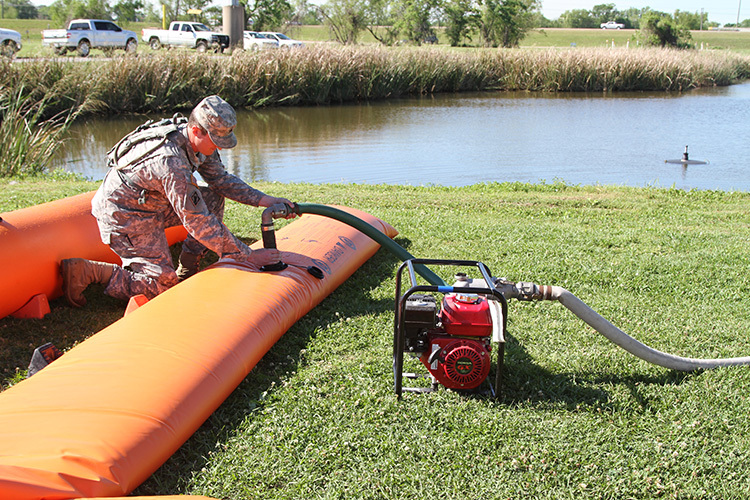 The exercise, organized and coordinated by the LANG and the Governor’s Office of Homeland Security and Emergency Preparedness, involved field training missions occurring simultaneously at the Bonnet Carre Spillway in St. Charles Parish, the NASA Michoud Assembly Facility in Orleans Parish and LANG’s Regional Staging Area in Tangipahoa Parish, to reinforce readiness in advance of hurricane season. 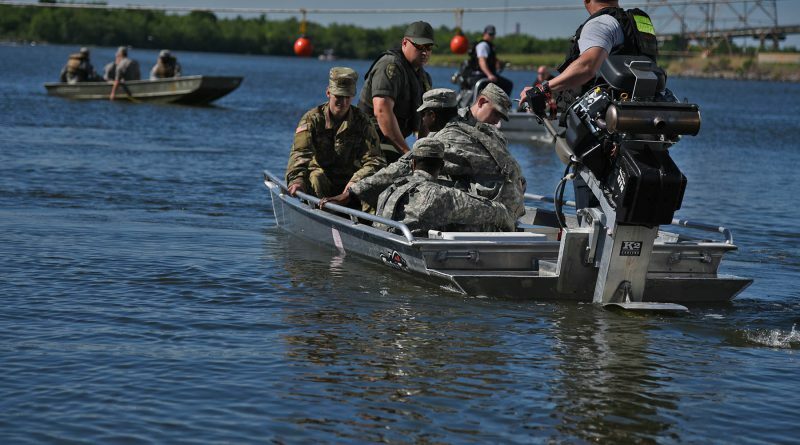 In his remarks at the press conference at the Bonnet Carre Spillway, Maj. Gen. Glenn H. Curtis, adjutant general of the LANG, emphasized the importance of this training exercise. “The three main priorities that we have are to save lives, reduce suffering and protect property … We don’t know what can come at us. The most predictable is possibly a hurricane, but we don’t really know what lies in wait. 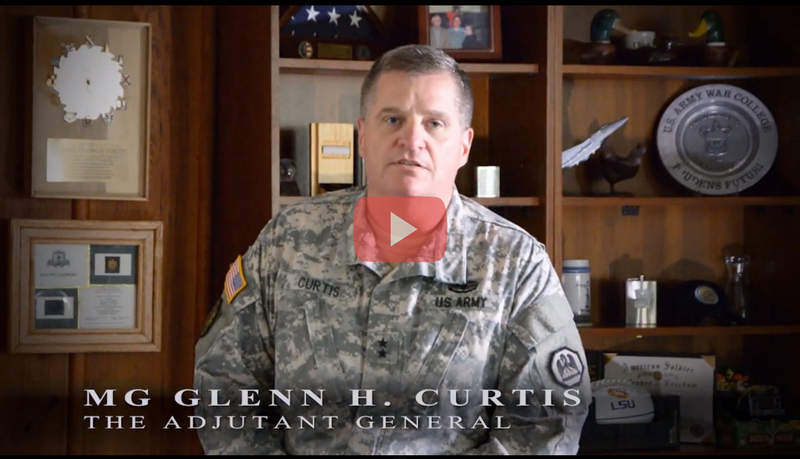 So we just want to be ready to execute and make sure the citizens of Louisiana have confidence in us,” said Curtis. 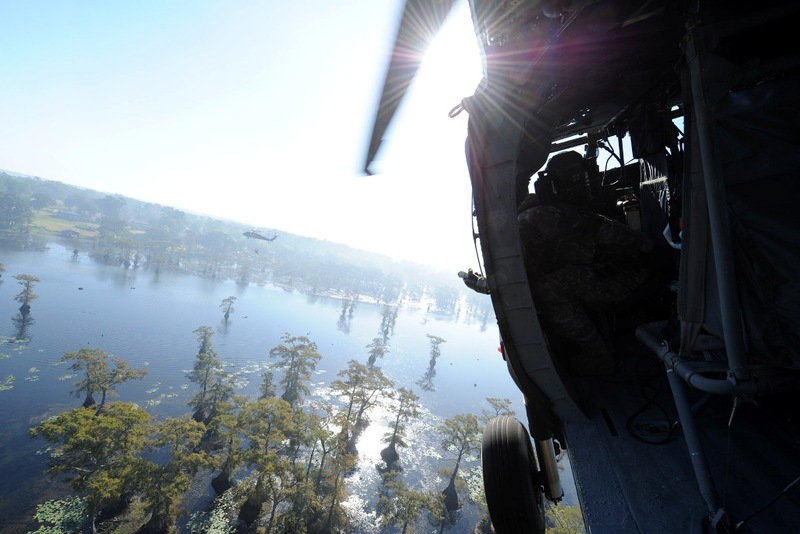 At the Michoud Assembly Facility, approximately 360 Guardsmen from the 256th Infantry Brigade Combat Team, headquartered in Lafayette and the State Aviation Command, headquartered in Hammond, conducted boat, land, and air search and rescue operations using three UH-60 Black Hawk helicopters, flat-bottom boats and Zodiac boats. 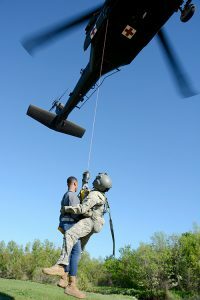 Guardsmen and their partners conducted “lily pad” operations, which are consolidation points where personnel are brought once rescued to receive medical support, security, pet processing and transportation out of devastated areas, and communication capabilities were tested in coordination with other agencies. The incident commander for the Orleans Parish location, Deputy Chief Craig Peyton of the St. Bernard Parish Fire Department, worked closely with the officer in charge (OIC), Lt. Col. 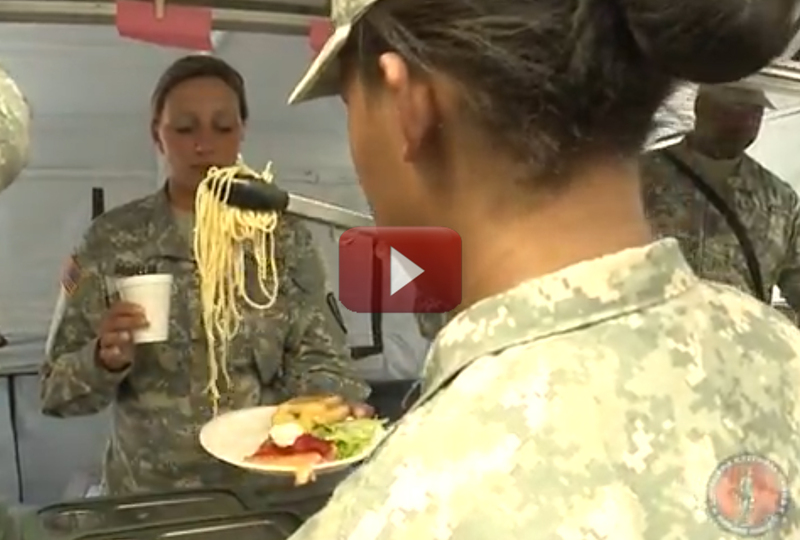 Rob Billings, battalion commander of the 256th Infantry Brigade Combat Team, to simulate a realistic event. Jefferson Parish Animal Control representative Alicia Belsom of Harvey, Louisiana brought dogs that are available for adoption, to assist in the training on safely transporting animals during emergency operations. 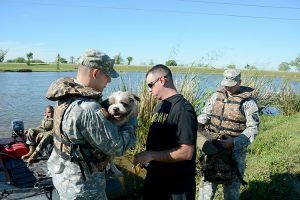 “This training gets everybody on the same page so that in a real scenario, we all work together that much better,” Belsom said. 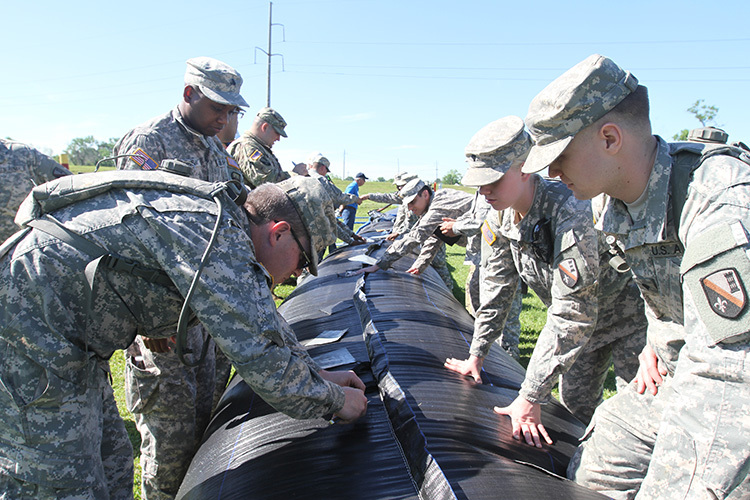 The 139th Regional Support Group ran the Regional Staging Area in Roseland where they conducted warehouse operations and commodities distribution training. They worked closely with the Louisiana State Police and Canadian National Railway. 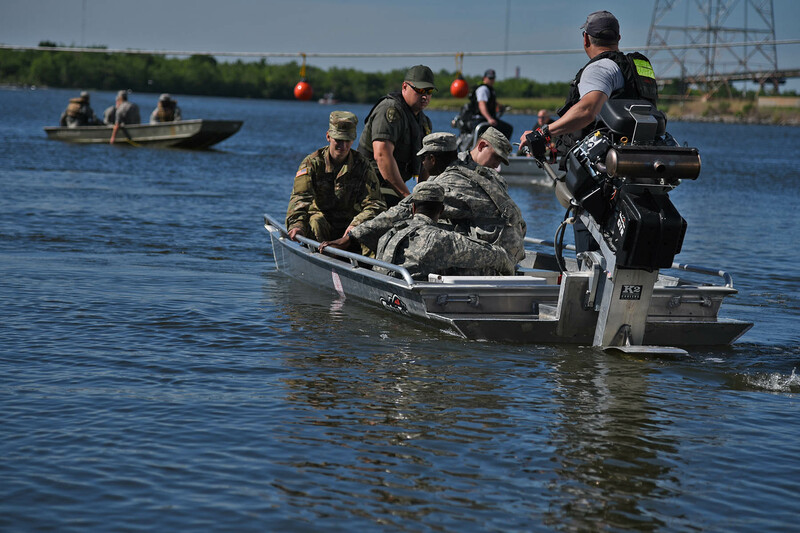 At the Bonnet Carre Spillway site, approximately 300 Guardsmen from the 225th Engineer Brigade conducted boat, land, and air search and rescue (SAR) operations using two UH-60 Black Hawk helicopters, flat-bottom boats and eight Zodiac boats. The training also involved assembling Tiger and Aqua Dams, testing communication capabilities with other agencies and the evaluating the efficiency of lily pad operations.